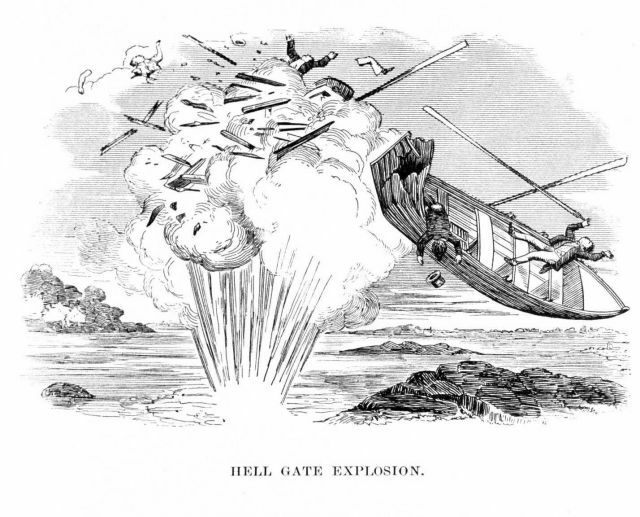 A Francis metallic lifeboat surviving an explosion during the removal of rocks at Hell Gate in the East River, tidal passage between the Hudson River and Long Island Sound. This recounts an accident which occurred destroying a wooden boat with its occupants but the metallic Francis Lifeboat saved its occupants. In: “History of Life-Saving Appliances,” 1885. Call Number 527.8 F81P.